Read, write, create, edit, copy, transfer NTFS partitions easily and safely. Download now for free and use without registration for 60 days! Paragon NTFS for Mac® 14 Preview provides full read and write access to Windows-formatted NTFS partitions on Apple’s OS X El Capitan Preview. To ensure a higher level of security, the new release by Apple delivers a new protection feature. System Integrity Protection prevents modifications to certain system files, folders and processes. This protects components on disk and at run-time, only allowing system binaries to be modified by the system installer and software updates. Code injection and runtime attachments to system binaries are no longer allowed. Paragon NTFS for Mac 14 is fully compatible with Apple’s new security policy ensuring fast, hassle-free and safe access to NTFS partitions from the new Mac OS X 10.11 El Capitan Preview. Paragon NTFS for Mac 14 Preview is available for immediate download, without registration, to all Mac enthusiasts testing Apple’s OS X El Capitan Preview. All users who purchased NTFS for Mac OS X 12 will get a free upgrade to Paragon NTFS for Mac 14 when the commercial version is released. Paragon Hard Disk Manager for Mac beta is a new powerful tool to handle all of your disk management tasks. Paragon Hard Disk Manager for Mac is the result of more than 20 years of development in data protection, backup and disaster recovery on Windows and OS X now making it available to dual-boot users working on OS X-based systems. Paragon Software is opening the road to Hard Disk Manager for Mac, powerful management solution for OS X! In order to improve the quality of the product and integrate as much customer input as possible, we would like to offer beta testers and Mac enthusiasts a unique opportunity to test Paragon Hard Disk Manager for Mac Beta at its still early stage of development. Much of the feedback collected will be considered and implemented in the commercial version of the product slated for summer 2015. Some features may change or be added as a result of early feedback. Share with us your experience about the utility’s performance and your vision for the final product. Send your feedback via email to: beta-test@paragon-software.com or post it on our Community Forum. Most active beta testers who provide the most valuable feedback or suggestions will receive free commercial licenses of Paragon Hard Disk Manager for Mac. However we appreciate any input and all beta-testers will get 30% discount on the final commercial version of program. With Camptune X the whole resize operation is literally as easy as moving a slider! A new Paragon Camptune X comes with Core Storage technology support, a new and more intuitive and reliable interface based on Mac OS X elements, and the ability to identify and automatically fix an unsynchronized partition layout or any file system errors. Camptune X solves the maintenance problem that Mac Boot Camp™ users encounter when they run out of free partition space. With Camptune X, Mac users can redistribute the available space between OS X and Windows partitions rapidly without data loss, quickly and easily adding free gigabytes to partitions used by either operating system. The new Paragon Mac ToolBox web portal makes it easy to find which of the company’s products can be used to solve particular Mac-related problems. Some of the tools are available free of charge, while all commercial products are available on a time-limited demo basis. Posted on March 12, 2015 March 12, 2015 Author Ksenia SchevjevaCategories Mac ToolBoxLeave a comment on With Camptune X the whole resize operation is literally as easy as moving a slider! Make full use of your hard disk capacity! The Partition Manager offers an extensive range of functions for flexible partitioning, optimization and managing your computer. No matter whether you are restructuring your hard drive and dividing it up in partitions, redistributing free memory storage space, using several operating systems on the PC at once or want to work with virtual hard disks, Partition Manager puts a single first-class partitioning tool with powerful extra functions at your fingertips. The Partition Manager comes in three editions: the Free Edition offers basic functions for those who don’t need everything. The Home Edition is the standard software for partitioning hard drives without data loss. The Professional Edition is the solution with an expanded range of functions for pros. Paragon Partition Manager 15 is ideal for PC users working with virtual machines. The Professional edition includes Paragon Connect VD (Virtual Disk) – Paragon’s proprietary technology for direct partitioning of virtual hard drives. It works with all VM major formats, including VMDK, VHDX and VHD. Paragon releases the first solution to back up Windows under OS X! And it’s free! Paragon Boot Camp Backup is the industry’s first and free OS X based backup solution for Windows partitions on Mac computers. The backup tools that are delivered with Apple’s operating system do not support the Windows native file system NTFS and work on the file level only which has a negative effect on computer performance. Other third-party tools either do not run in the familiar and convenient OS X environment or they are designed for disk cloning rather than ongoing backup. Paragon Boot Camp Backup comes to rescue by backing up NTFS Boot Camp partitions at the sector level. It creates incremental chains, where each new increment describes the changes between the current state of the backup object and the previous state. This saves disk space, speeds backups, and allows recovery to a particular point in time. Posted on March 5, 2015 November 5, 2015 Author Ksenia SchevjevaCategories Paragon Software NewsLeave a comment on Paragon releases the first solution to back up Windows under OS X! And it’s free! We are excited to announce Paragon Disk Wiper 15 for Mac OS X Free – a utility to efficiently clean hard disks and SSDs or permanently erase critical data on separate partitions or entire hard disks. With the new tool, wiping is not accomplished under Mac OS X, but from a Linux-based flash stick that can be easily created with the program. After booting the Mac from this device, the Wipe Wizard can irreversibly remove confidential data in just a few easy steps. Learn more about the product and its outstanding! New Mac ToolBox portal is now available for Mac users! Visit our brand-new Paragon Mac ToolBox portal that makes it easy to find the right solution for Mac-related problems. Many tools are absolutely free of charge, like Paragon Boot Camp Backup Free, to back up Windows under OS X, while all commercial products are available on a time-limited demo basis. Everything you should know about disk sanitization techniques for HDDs and SSDs! According to the US Department of Commerce data security breaches cost over $250 billion to US companies per year. This means providing confidentiality implies not only information to be stored properly, but also be destroyed according to certain rules. The article Why_Wipe_SSD is going to illustrate the main peculiarities of irreversible data destruction operation in order to allow a secure storage disposal. The approach to perform this kind of operation will differ from the type of storage device: HDD (Hard Disk Drive) or SSD (Solid State Drive). The internal architecture of an SSD is very different from that of a hard disk, and the way SSDs store data is very different as well. This means that existing disk sanitization techniques originally used for HDDs won’t work on SSDs. After some research on the issue, our company has improved our disk wiping technology and can now guarantee irreversible secure data destruction on SSD storage devices without shortening the SSD’s service life. Read the full article Why_Wipe_SSD to clear up the difference between data destruction on SSDs and HDDs and meet the recently updated wiping tool from Paragon Software. A special Christmas bundle from Paragon is packed with the new product releases! A package deal of both tools for the price of one available until December 30th, 2014! The company is happy to announce the release of Paragon Disk Wiper 15 Professional – for the most secure data protection on hard drives and SSDs – and Paragon Backup & Recovery 15 Home – an easy-to-use data and PC system backup and recovery tool. Paragon Disk Wiper 15 Professional accomplishes secure data wiping on hard disks. The new version is now able to sanitize SSDs without affecting their operating life. In addition to protecting sensitive personal information, Disk Wiper frees up space by clearing remnants of deleted files and directories. Paragon Backup & Recovery 15 Home backs up not only users’ data, but also the entire operating system with all settings and installed applications. Both versions support Windows 8.1, and purchasers will receive free updates for Windows 10 support. A bundle of Paragon Disk Wiper 15 Professional and Paragon Backup & Recovery 15 Home is available for only 39.95$ (80$ value, if purchased separately) until December 30 th, 2014. Don’t forget to check the Christmas Highlights page every week not to miss your deal! Posted on December 18, 2014 December 18, 2014 Author Ksenia SchevjevaCategories Paragon Software NewsLeave a comment on A special Christmas bundle from Paragon is packed with the new product releases! Paragon Software is happy to announce a new technology alliance with Lanix, a multi-national system manufacturer headquartered in Mexico. The new agreement builds upon their existing partnership and calls for Lanix to license Paragon Backup & Recovery software for use in select PC and notebook devices sold to consumers, businesses, government and academic institutions throughout Mexico and Central and South America. Lanix selected the award-winning Paragon Backup & Recovery offering after an extensive evaluation in which a number of leading products were considered. According to Jorge Noriega, Director of Technology for Lanix, Paragon Backup & Recovery delivered everything the manufacturer needed to ensure optimal data protection for its customers at a cost-effective price point. Make use of 20YEARS/20MINUTES/$20 deal! Still celebrating “20 years Paragon” we are happy to announce Black Friday deal with 80% off on the most popular essential, all-in-one data management solution for Windows PC users working in physical or virtual environments, Paragon Hard Disk Manager 15 Professional. 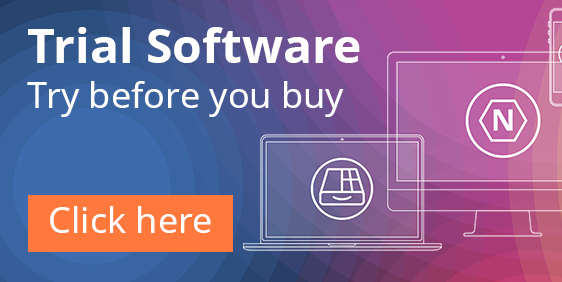 The software tool will be available at only 20$ starting November 28, 2014, at 8:00 p.m. until November 28 th, 2014, until 8:20 p.m. EST, with no coupon code required. Updated recently with the newest features, Paragon Hard Disk Manager 15 Professional offers everything you need for system and hard disk management. The most advanced data safety and disaster recovery software with powerful partition features, it comes with a full spectrum of virtual and physical migration operations, agentless MS Hyper-V backup, secure data wiping (even on SSDs) and includes a free update for Windows 10 support. Click to access the promotion! Don’t be late — you will have only 20 minutes to make a purchase! Good luck to everyone this Friday!